Our Lovely VolunteersVolunteers are at the core of our market, ensuring a memorable and enjoyable experience for our vendors and visitors. 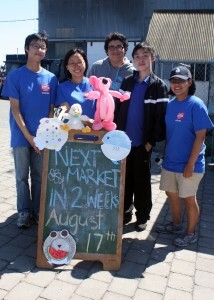 If you are friendly, outgoing and want to help your community in a lively market setting, we want you! To volunteer for the 2019 SFAM, please register online and choose “Steveston Farmers and Artisans Market” in the “Preferred Volunteer Placement” section. 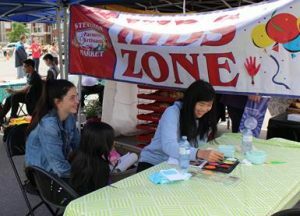 The Farmer’s Market is in full swing and we would love more volunteers to help with set up, take down, kids’ zone and general help. Scroll down and you will see the volunteer opportunities. Look at all the shifts and positions and check your own personal schedule to avoid conflicts. Thank you for caring about your community and volunteering!